Guy cliff dives and splits face in half survive? 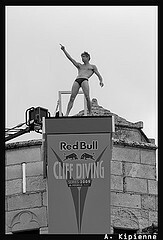 Question by John: Guy cliff dives and splits face in half survive? On a messed up video “guy cliff dives and splits face open” does anyone know if he survived? Or what happened after that incident? That video you describe is in fact two different video’s. The cliff dive is one in it’s own right. No other information is given on how the person was after wards. The second is of a male who tragically tried to end his own life using a fire arm. The video is taken by a doctor for treatment and record purposes. The two separate video’s were edited together. One of the downsides of the world wide web I’m afraid.